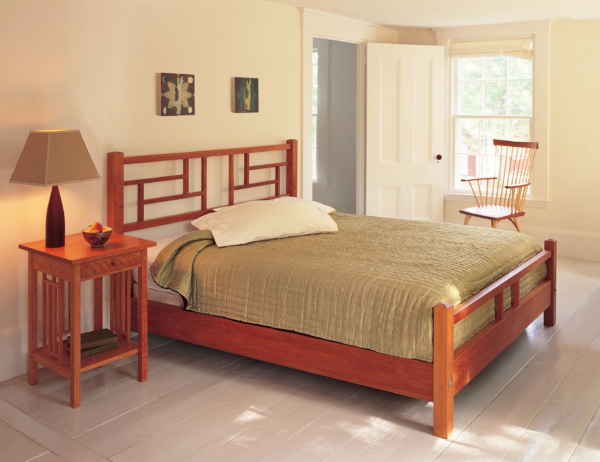 The detailed joinery and use of vertical and horizontal planes in the New Century China Bed are inspired by Asian culture and the Arts and Crafts movement. 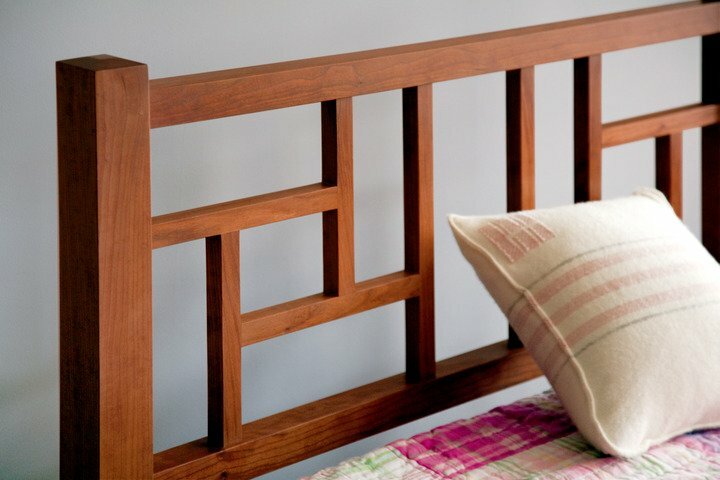 The geometric play of lines that characterize the bed celebrates this tradition and its appreciation of the beauty of wood. Our New Century China Bed juxtaposes space and structure, with linear elements that call attention to design and construction, while bringing definition to the surrounding space. In total, the bed employs more than 30 hand-joined intersections to form a geometric pattern that provides both strength and aesthetic appeal. 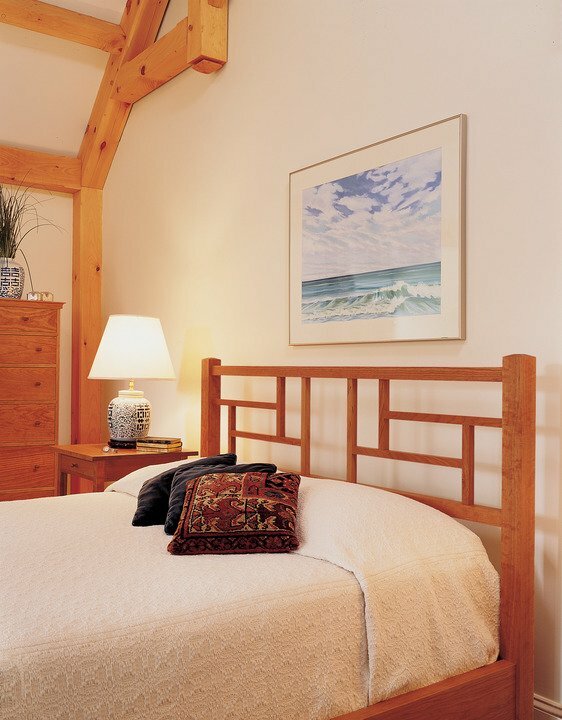 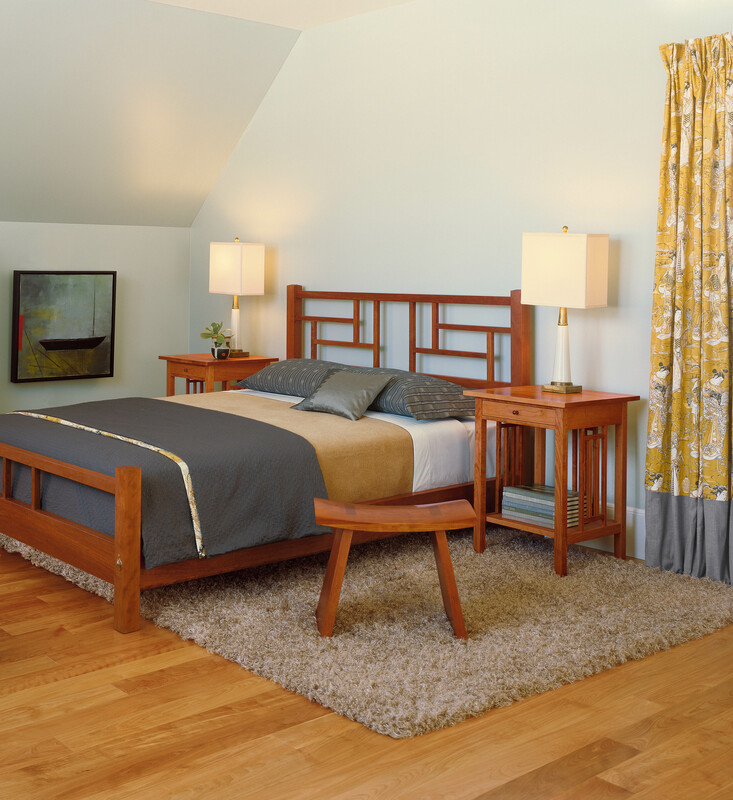 Secured at all four corners with a mortise and tenon joint that is then secured bed bolts to create a strong and secure fit that can be taken apart when necessary.